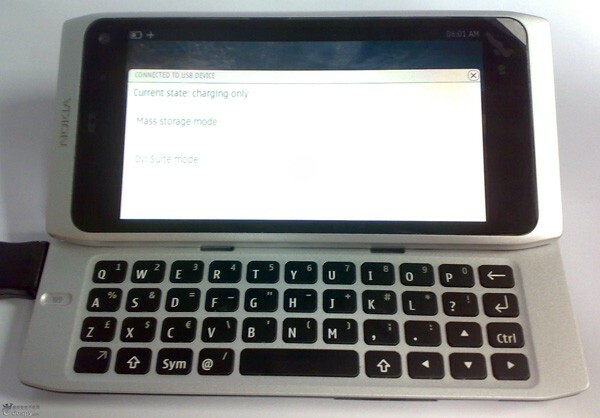 Data on Nokia’s N9 smartphone, one great white hope to turn round its business, has leaked. And whaddyaknow? It’s very Apple-esque. It’s almost like the iPhone may have been, if Johnny Ive had smaller balls. Apple‘s designs are almost always instant classics, and often push the boundaries of the genre’s look and feel. Nokia’s designs, of late, are not, and do not. At all. So how is Nokia hoping to make its N9 smartphone a success? By aping Apple. Data on the N9 surfaced back in June, even though the N8 was actually Nokia’s hottest smartphone news at the time, and has yet to actually go on sale. It’s a QWERTY-keyboarded slider phone, with a large touchscreen and a sleek metal-chassis design that’s a stand-out in Nokia’s otherwise pretty traditional phone format thinking. Now there’s evidence from China that the phone is pretty certain to be real, and though the newest leaked images are of a prototype that still departs somewhat from the latest design decisions, it’s pretty close to what the final phone will be like. And here’s where things get funny: Look at the N9. All-metal chassis (possibly aluminum) with nary a seam or piece of technical frippery in sight–check. Smooth exterior shape, with only a few “feature” pieces of plastic–check. Black chicklet-style QWERTY keyboard with neat white legends–check. Large screen with prominent black border beneath the glass edge, and logo at the bottom–check. Cleverly designed, simple, concealed hinges–check. 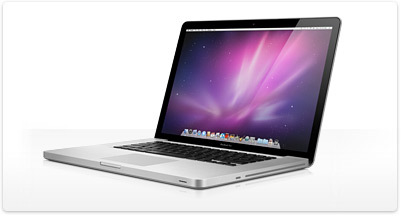 Now think about the all-metal iMacs, Mac Minis, and even the Mac Pro desktop machine. And then look at a MacBook Pro, and run off that exact same checklist. Yes, they match. The N9 is fabulously Apple-esque. But where some firms (chief among which you may finger Samsung) have chosen to ape the iPhone in their iPhone-challenging smartphone designs, Nokia seems to have thought differently, and looked at Apple’s computer offerings. And run with the design ethos of these instead. Apple fans and Nokia skeptics will have a field day with this too, because imagine that back in 2006 Apple had decided to make a smartphone like the iPhone, but that Jonathan Ive’s team had balked at pushing the envelope so very far with a unibody format that abolished a keyboard and embraced all-touchscreen design (i.e. the future). The resulting phone could easily have looked exactly like the N9. Oh, Nokia, the N9 is so 2007.